- Tune in to your favourite tracks with this amazing, flat cable stereo headset: Chrome. - Premium Sound: Chrome delivers a premium unmatched sound experience with its professionally tuned 10mm drivers. - Professionally Crafted Drivers: The professionally tuned 9mm drivers recreate music the way it was intended to be heard – crisp and clear. - Passive Noise Cancelling: Chrome delivers rich crystal clear sound with minimal interference due to its enhanced ear-buds that blocks out your noisy environment. - Universal Controls: Chrome features a unique multi-function button that lets you control your music. 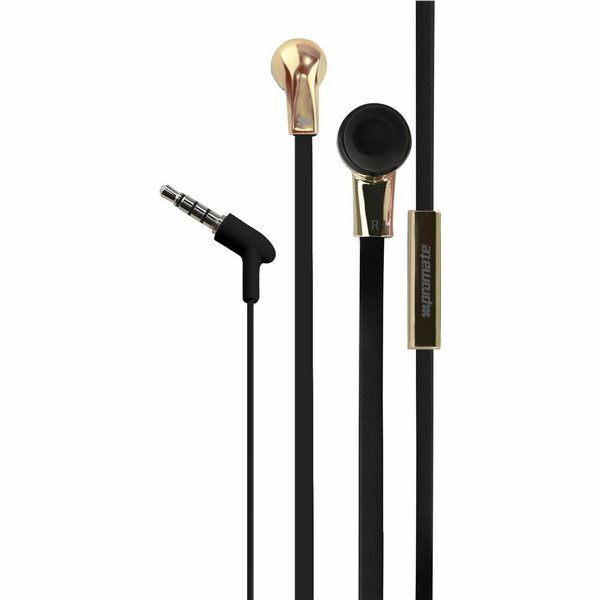 - Anti-tangle: Flat anti-tangle cable adds on to the design & functionality of this amazing pair of headsets. - Intutive Controls: Chrome features inline controls for picking up calls. - Built-In Mic: Chrome also features an inline Mic that lets you make and receive calls on the go at the touch of a button. - Soft Ear Bud: Ergonomically designed ear bud provides comfort fit and prevent noise while listening music.